Are you looking for a Chandler realtor who knows the area and is an actual resident? How to Find the Perfect, Chandler Realtor. 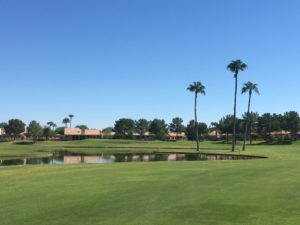 This may be obvious, but you want to find realtor professionals who have a proven track record selling and buying homes in the local, Chandler, Arizona area. They need to be well-versed in the ever-changing real estate industry. It’s so much more than hanging a sign and entering the home on the Arizona MLS (Multiple Listing Service). And it’s impossible for a single, real estate agent to do everything. Instead, you need a team of individuals to take care of everything necessary to list and sell a home in today’s real estate market. 2. Look for buyer specialists. A buyer specialist knows all the ins and outs of helping today’s buyers find the perfect home. They are licensed, real estate agents who also help with all of the administrative details of managing the necessary transactions. This includes listing a home for the best possible price in in today’s market with the MLS. But, 90% of buyers today start their real-estate search online in the comfort of their own home. This means you must have much more than a simple, MLS listing. To stand out from the competition and have your home selected as a finalist, you need a real estate team with a strong marketing plan and online presence. This includes access to, and management of, professional staging services, photography, and high-definition video. This is in addition to a plan that includes traditional marketing like print advertising, flyers and open houses. Your Chandler realtor should create and use a targeted, social-media advertising campaign specific to your real estate needs. This way, you can reach a massive audience looking for properties like yours. By posting the right photos, descriptions and information about your home, at the right time and location, you have a better chance of selling your property at the best price and in the least amount of time. A Great, Chandler Realtor Awaits! By finding a professional team with experience and a proven track record, you can utilize the best buying and selling power possible. Your Chandler realtors should take advantage of the latest social marketing techniques and work with others to sell your home fast at the best price possible. Do you need help finding a Chandler realtor to help you buy or sell your home? Our local and experienced real-estate specialists are available to assist you here now.